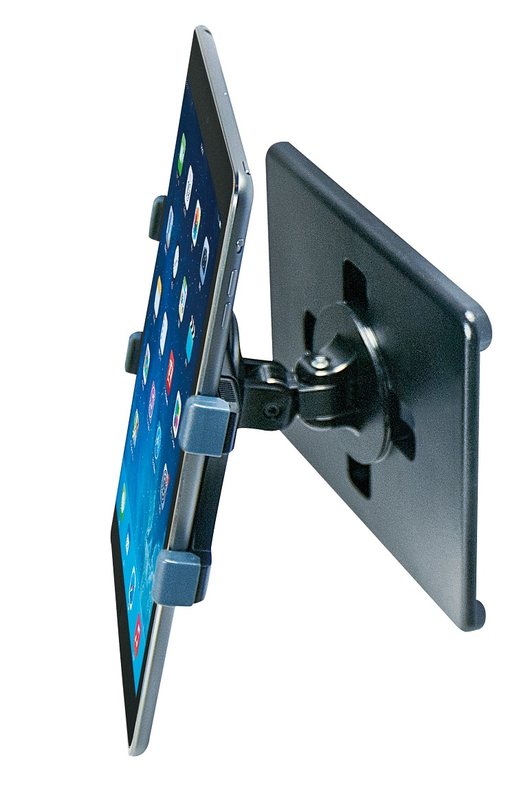 This tablet holder is designed to hold any brand of tablet or iPad measuring 7 - 10" inches. Ideal for any Magnetic surface such as refrigerator door, or whiteboard. Provides 360 rotation. 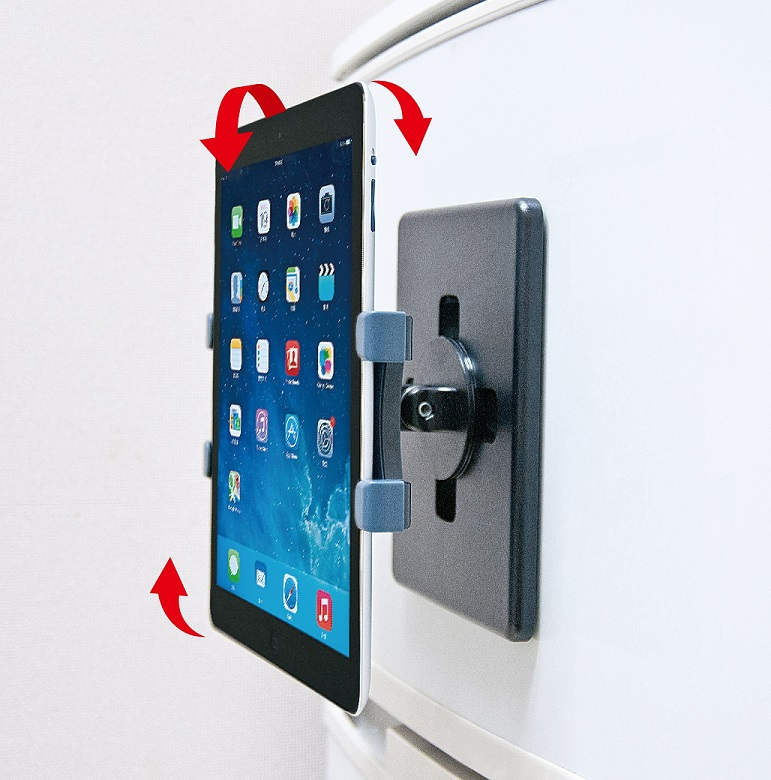 Ideal for any Magnetic surface such as refrigerator doort, or whiteboard. Provides 360 rotation.